Tired of the beaten path of desert dunes, camel rides and the din of the medinas? How about taking a different route to the village of cave houses in Bhalil? The cave houses of Bhalil are one good reason to visit this village which is nestled in the province of Sefrou in northern Morocco. The name Bhalil literally means “the charm of the night” but the charm is the extreme cave houses which are built next to above ground houses. The interesting thing about the cave houses is from the outside they have the same facade as above ground houses, with the same walls and decors at the front but on the inside you are inside a true cave. 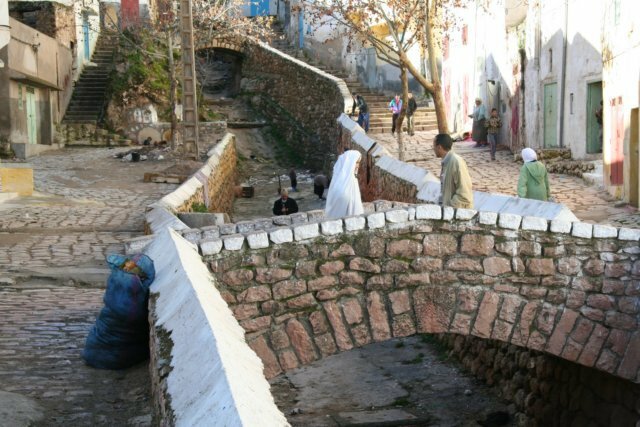 Bhalil is a quiet town and there are not too many tourists visiting this part of northern Morocco. There are no restaurants or hotel; therefore it is better to visit Bhalil on a day trip. Hotels and restaurants are in the nearby towns of Sefrou and Ifrane or Azrou. If you are coming from Fes, it is about 40km north and is an easy and a very nice driving distance to Bhalil. 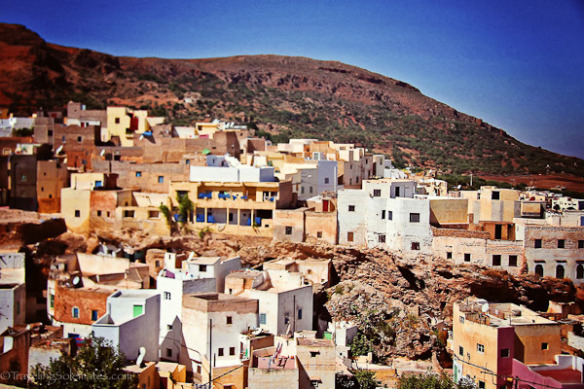 On your visit to Bhalil, expect to be charmed by the towns “official guide” Mohammed who will take you to his personal cave house and serve you mint tea–a hallmark of Moroccan hospitality!